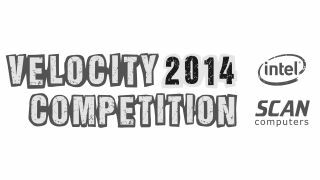 Velocity 2014: Big prizes for creatives of all types! Scan Computers and Intel have joined forces to create a competition with a unique approach that levels the playing field for both established creatives and those at the start of their career. Boasting three music categories (Pop/Dance/Urban, Electronic and Rock) as well as Film & Video, Motion Graphics & HDR Photography categories, Velocity 2014 asks entrants to submit a piece of original work and share an explanation video which shows exactly how they're working differently or have innovated within their field. Velocity 2014 will also be hosting networking events, master classes and demonstrations during the competition period. Prizes include getting behind the scenes at award-winning production houses including Space Digital, studio sessions with chart-topping producers and mix engineers including TMS (Little Mix, Professor Green, Emilie Sandé), James Reynolds (Tinie Tempah, Jessie J) & Romesh Dodangoda (Motorhead, Funeral for a Friend), impossible to secure magazine exposure, world-class training including REDucation at Pinewood Studios and personal mentoring as well as over £30,000 of professional hardware and software. The competition will run until 30th April 2014. To learn more and enter head over to the Velocity 2014 website.